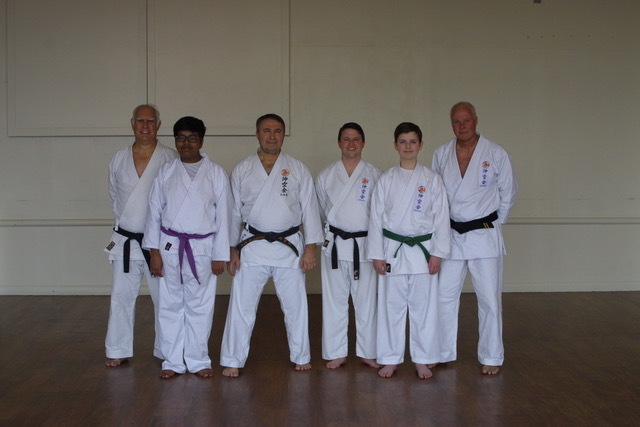 Junior students Rajat Jadhav and Louis Boettger from the Billericay and Wickford clubs trained alongside instructors Barry Coles, Rodolfo Picciau and Roy Stevens on Saturday 30th March 2019. The three hour lesson arranged and taught by Paul Natzyl covered an array of topics including Kata, Kumite, Bunkai, combination techniques, footwork and reducing distance, pad work and some practical techniques to finish with. The Okinawa Karate Association U.K. invites you to attend training with Paul Natzyl 7th Dan Black Belt on Saturday 30th March 2019, at Mill Hall (Bar Lounge, upstairs), Bellingham Lane, Rayleigh, Essex, SS6 7ED, between 10.00 a.m. and 1.00 p.m.. The training is open to adults, youths and children from 5 years of age and will be suitable for students of all levels. 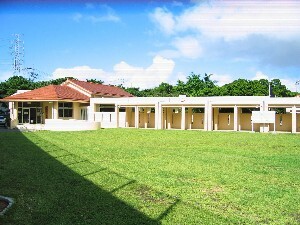 10.00 a.m. to 11.15 a.m. Training for adults, youths and children (minimum age 5 years). 11.15 a.m. to 11.30 a.m. Break, training for children 5 - 7 years of age ends, refreshments (bring your own) and photos (optional). 11.30 a.m. to 1.00 p.m. Training for adults, youths and children (minimum age 8 years). If you wish to attend, you need to book your place, text or email me at the above, your booking will be confirmed once your payment has been received. Payment to Bank by Direct Credit - NatWest, account name P. W. Natzyl, sort code 602206, account number 18983715 please use your surname as a reference. Fees are non-refundable except in very exceptional circumstances. On the 13th October 2018, students met for training at Mill Hall, Rayleigh. 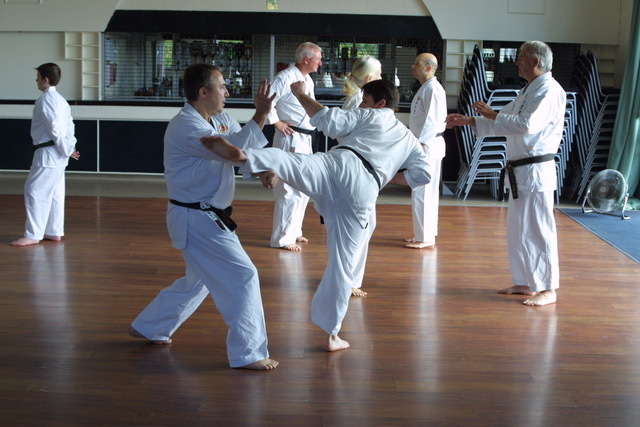 Instructor Paul Natzyl provided tuition for the group beginning with a wide range of stretching exercises, followed by an insight into advanced Kata performance and a refresher course on Dan Kumite. The lesson was also supplemented with some practical techniques giving the opportunity for students to offer their own ideas and variations. Considering the comparitively short notice of the training session, it was attended by ten students. Unfortunately Roy Stevens was unable to particpate due to illness, however he was able to absorb the lesson from the sidelines. You are invited to train with Paul Natzyl on Saturday 13th October 2018 at Mill Hall, Bellingham Lane, Rayleigh, Essex, SS6 7ED, between 10.30 a.m. and 12.30 p.m.. The training is open to adults, youths and children from about 11 years of age and will include the following. A wide range of stretching exercises for the whole body. The difference in breathing between Sanchin and other Katas, punctuation (short pauses} occasionally between moves, opposite features of movement e.g. fast and slow, hard and soft etc., and the use of Kiai (loud cry). Kumite 1, Kyu Kumite, Dan Kumite & Daiti Yakusoku Kumite Revise or learn from scratch these pre-arranged sparring drills. Kanshiwa Bunkai, Seisan Bunkai & Sanseiryu Bunkai Revise or learn from scratch these Kata applications. To be revealed on the day. If you wish to attend, you need to book your place, text 07727 998994 or email paul.natzyl@okikukai.co.uk you will be given payment details and your booking will be confirmed once payment has been received. Association training is being planned for the 13th October 2018 to be held at Mill Hall, Rayleigh between 10.30 a.m. and 12.30 p.m.. Further details will be posted soon. 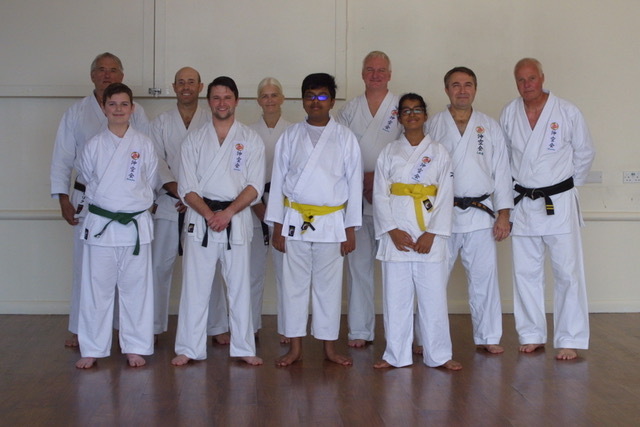 On Wednesday 12th September 2018 at Castle Hall, Rayleigh, students who had recently participated in the May Dan grade examination received their certificates. 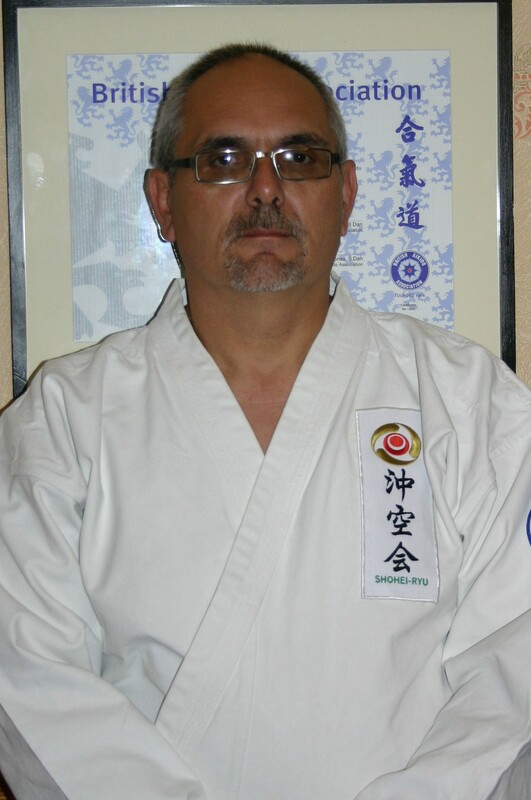 Rodolfo Picciau received certificates for the instructor rank of Jun-Shihan and 4th Dan. Following the presentation, the all Black Belt class were provided tuition by Barry Coles, Ian Weatherley, Derek Charlton and Paul Natzyl. Rodolfo also contributed, passing on knowledge gained from his recent visit to Okinawa. From left to right, Tony Coles, Andrew Worth, Euan Weatherley, Ian Weatherley, John Pike, Gary Ott, William Spring, Rodolfo Picciau, Derek Charlton, Darren Akers and Barry Coles. On Saturday 13th May 2018, a Dan grading examination was held at Mill Hall, Rayleigh, Essex. Ten members from the Associations' clubs throughout Essex and Kent were examined by the grading panel which included Derek Charlton, Barry Coles, Paul Natzyl and Ian Weatherley. A record number of ten students were tested, the previous record being nine in June 2015. Reggie Went was the youngest student to ever receive a 3rd Dan grade at the age of twenty two. Other successful young students earning the rank of 1st Dan were George Hayday, age twenty and Ian Weatherley's son Euan, just eighteen. Several students that had taken time out from training and returned in recent years received the rank of 1st Dan, they included Darren Akers, Gary Ott and Martyn Seal who started in 1986. The students listed below were awarded the following grades. Front row, Rodolfo Picciau, John Pike, Gary Ott, Martyn Seal and Euan Weatherley. From left to right, back row, Paul Natzyl, Barry Coles, Reggie Went, Andrew Worth, Roy Stevens, George Hayday, Darren Akers, Derek Charlton and Ian Weatherley. A Dan gradinig examination is planned for Saturday 12th May 2018, to be held at Mill Hall, Bellingham Lane, Rayleigh, Essex SS6 7ED. The grading will be held in the Bar Lounge between 10.00 a.m. and 2.00 p.m.. It could be one of the largest gradings ever held by the Association, with about nine students training hard at the moment to reach the required standard for testing. The Association welcomes it's members, their families and friends to attend, unfortunately the Association is unable to accomodate very small family members. On Saturday 11th November 2017 Uechi-Ryu Karate students met at the Brentwood School Sports Centre for training with Sensei Paul Natzyl. The meeting was well attended, and despite the heavy schedule planned for the two hour session, all topics were covered. Further training opportunities are being planned following positive feedback from students. You are invited to train with Sensei Paul Natzyl 7th Dan Black Belt on Saturday 11th November 2017 at the The Old School Gym, Brentwood School Sports Centre, Middleton Hall Lane, Brentwood Essex CM15 8EE, between 2.00 p.m. and 4.00 p.m.. The training is open to adults, youths and children from about 11 years of age and will include the following. These historic Kumites are valued by many Uechi-Ryu students, for providing an excellent opportunity to enhance ones skills in distancing, timing, knowledge of target areas, and perfecting techniques both attack and defence. An opportunity to revise or learn from scratch these amazing pre-arranged sparring drills. Introduced in recent years with many techniques taken from the above three Kumites. KATA AND BUNKAI Required for grading examinations. Karate is about defence, however going on the offensive is another way to defend. This is very much part of free sparring and sport Karate. We will look at foot movement and closing distance and the use of distraction and combination techniques. 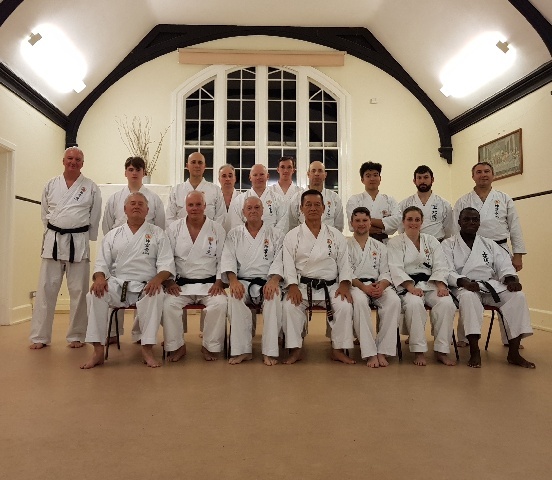 On the 5th October Uechi-Ryu students attended a training session at Aylesford in Kent with Sensei Yamashiro 8th Dan Black Belt from Okinawa, Japan. 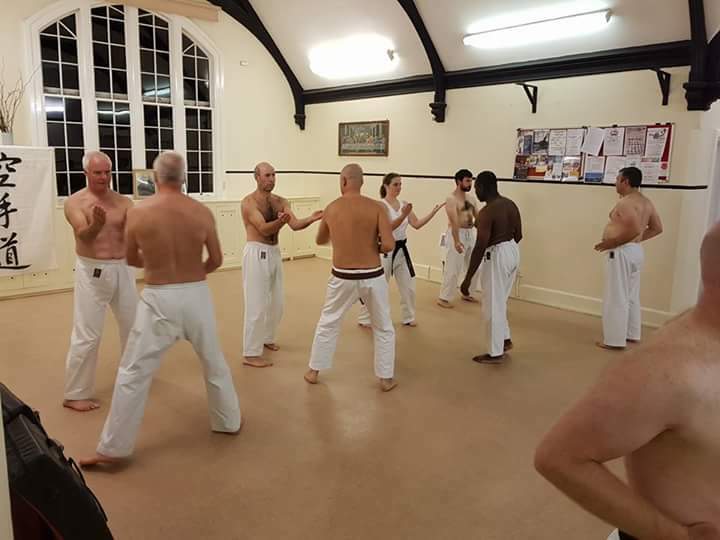 The two hour evening session was organised by Sensei Dave Harris, who extended the invitation to both members of the Okinawa Karate Association U.K. and the Uechi-Ryu Karate Association G.B.. The training was a great success with much to learn as usual. 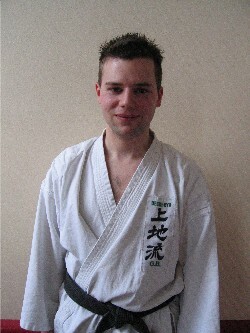 Paul Natzyl is opening two new Karate clubs in north Essex. The clubs will be in Church End, Shalford and Gosfield, Halstead. The classes will be aimed at children from about 5 years of age and will operate during school term time. Derek Charlton visted Okinawa at the beginning of the year with students Rodolfo Picciau and Alberto Lagoa. During his visit he successfully passed his 4th Dan exam. Rodolfo Picciau is to open a club in Tunbridge Wells, Kent. Rodolfo has trained with Derek Charlton at the Orpington and then Bromley club in Kent for some years now. He is also been a regular visitor to the Castle Hall club in Rayleigh, Essex, training with Paul Natzyl and Barry Coles. The new club will be held on Mondays between 7.00 p.m. and 9.00 p.m. at Sunnyside Hall, Rusthall Road, Rusthall, Tunbridge Wells, TN4 8RA, and will be aimed initially at youths and adults, although Rodolfo says that he doesn't plan to expicitly limit the class to this age group. The first session is to be held on Monday 25th September. Paul Natzyl to return to the U.K.
Paul Natzyl has announced that he will be returning to the U.K. to live. 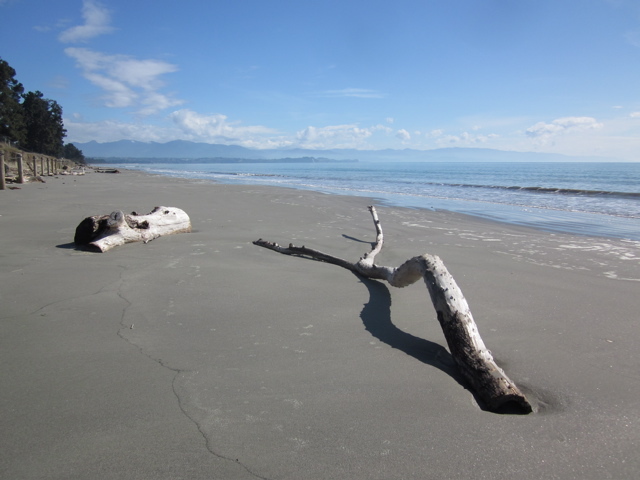 Since emigrating to New Zealand in August 2014, Paul has missed family, friends and his homeland. Despite the move to N.Z., Paul has retained his passion for the Association continuing with his role as President, hosting Dan gradings, seminars and visiting clubs whenever he was in the U.K., as well as taking care of the administrative affairs of the Association from New Zealand. Paul acknowledges the loyalty and dedication of many of the Association's members who have enabled the group to stay strong over the last 2 years 9 months, and would like to thank the following. Barry Coles, for continuing to make successful the Shi Gakko Shudan (Four School Group) and maintain relations with the other groups, instructors etc.. Ian Weatherley for also maintaining relations with other groups, instructors etc. and for continuing to inspire students with his dedicaion and skill of the Art, Roy Stevens for assisting Barry Coles at the clubs and for his commitment to the style, and Andrew Worth for continuing to arrange social functions for the group and keeping a family feel to things by doing so. Paul also acknowledges there are many others who have contributed to the Association by their regular attandance of classes and by helping other stidents. Paul is looking forward to his return at the end of May and being home and hopes to be training with members of the Association as soon as he can. He plans to visit clubs, host gradings and seminars for the Association and to open some clubs of his own. Paul's agenda also includes working towards strengthening the Association as a whole. Senseis Bary Coles and Ian Weatherley along with other members of the Association recently attended a seminar held in Oxford with Okinawan Senseis Nakahodo and Yamashiro. 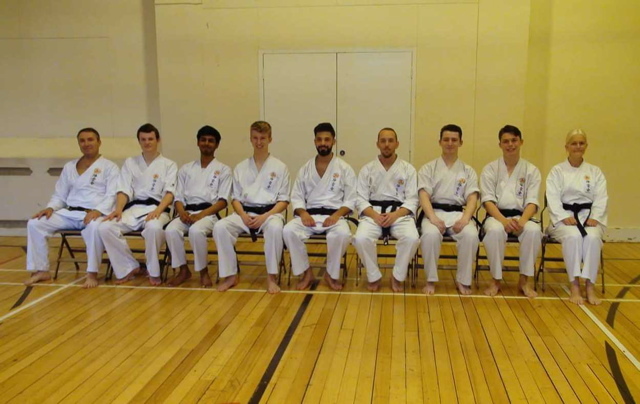 The seminar was organised by the Uechi-Ryu Karate Association G.B.. Apart from training, the event also included an examination for Dan grades for some of the students, and a referees course. 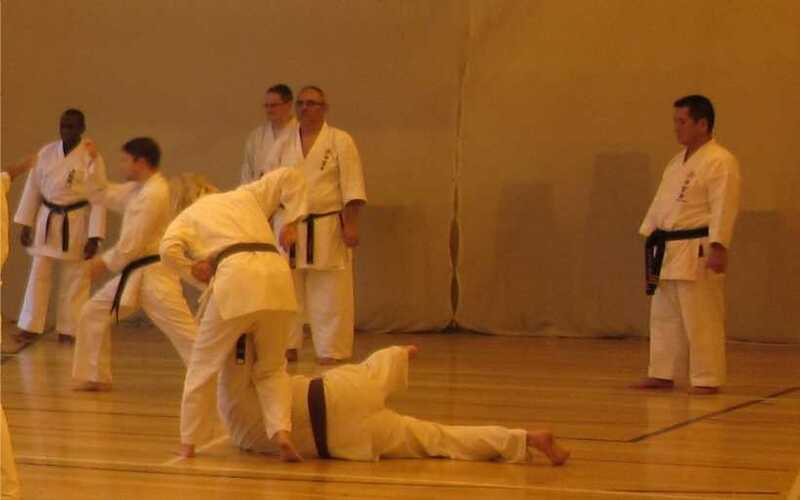 Unfortunately due to work commitments, Ian Weatherley was unable to prepare for his 6th Dan test, but was able to take advantage of the expert tuition that was given. After much consideration, reluctantly Tony Coles has decided to close his Karate club in Grays Essex, Tony has also resigned as a Senior Member of the Association. It is unknown why Tony has made these decisions. It is expected that Tony will remain a member of the Association, and his attendance at any of the clubs will always be welcomed. 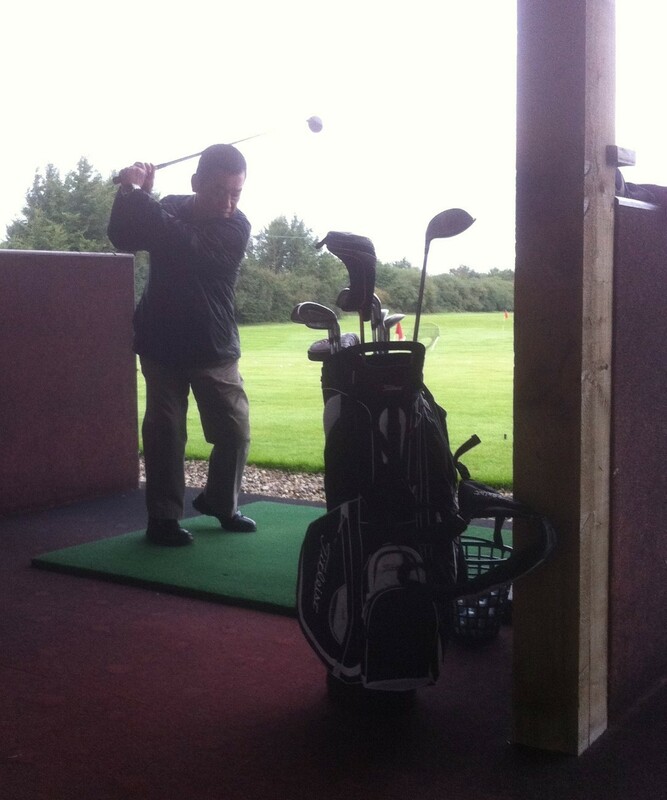 The Association would like to thank Tony for the contribution he has made as a Club Instructor and Senior Member. On the 18th September 2016, our parent Association in Okinawa Japan, issued a statement to inform us that they would be changing the name of our Karate style, Uechi-Ryu, back to it's original name Uechi-Ryu. Uechi-Ryu is named after Kanbun Uechi, an Okinawan who developed a form of Kung Fu, which he learnt whilst staying in China during the late 1800,s. 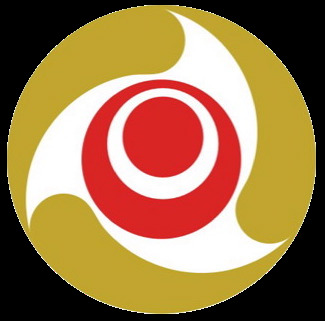 In recent years there was a split in the Uechi-Ryu Karate Association based in Okinawa, Japan, which led to many of the highest graded members leaving the Uechi family, and forming their own Association which they named, the Okinawa Karate Association. 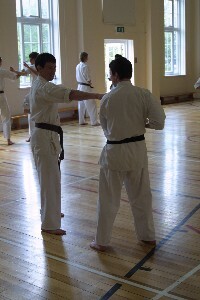 For a while the name Uechi-Ryu was used to describe the style being taught by both Associations. However, it was later decided by the breakaway group, to change the name of the style to Uechi-Ryu. For many years now, the style has been taught throughout the World under the name of Uechi-Ryu and Uechi-Ryu depending on which parent Association, different groups have been affiliated to. With the Olympic Games approaching in Tokyo in 2020, it has been decided by our parent Association, that the style should be unified and to revert back to the name of Uechi-Ryu, therefore enabling it to be recognised and promoted as one of the three main forms of Karate taught in Okinawa, Japan. Therefore from now on, the name of the style should be refered to as Uechi-Ryu, pronounced way-chee-roo. All grades will be recognised and remain the same, only the name changes. The current gi badge will be altered to bear the name of Uechi-Ryu instead of Uechi-Ryu, likewise grading certificates will be altered accordingly. Students will be allowed to continue to wear the old style gi badge for the time being. After several years of ill health, Ken Smith has sadly passed away. Terry Daly had received a message from Iris Smith (Ken's wife) to say that Ken was unwell following complication from a procedure at the local hospice. Later on that day, Terry was told by Iris's son that unfortunately Ken had passed away. Those that knew Ken will be extemely saddened by his loss, and it would be true to say, many will have very fond memories of Ken, having shared some very special times with him. 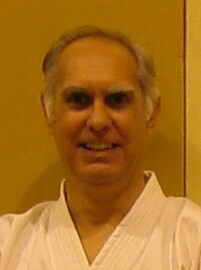 Paul Natzyl first met Ken in 1977 at the Shenfield Dojo run by Ron Ship. Paul said that Ken was always keen to pass on his knowledge and was respected greatly by all the students at Shenfield for his enthusiasm for the Art, his sense of humour and friendly manner. About this time, Ken visited Okinawa to train. He left the Shenfield Dojo to help Terry Daly with his club in London, and later attended lessons at an advanced combat group, run by his good friend Peter Robins. 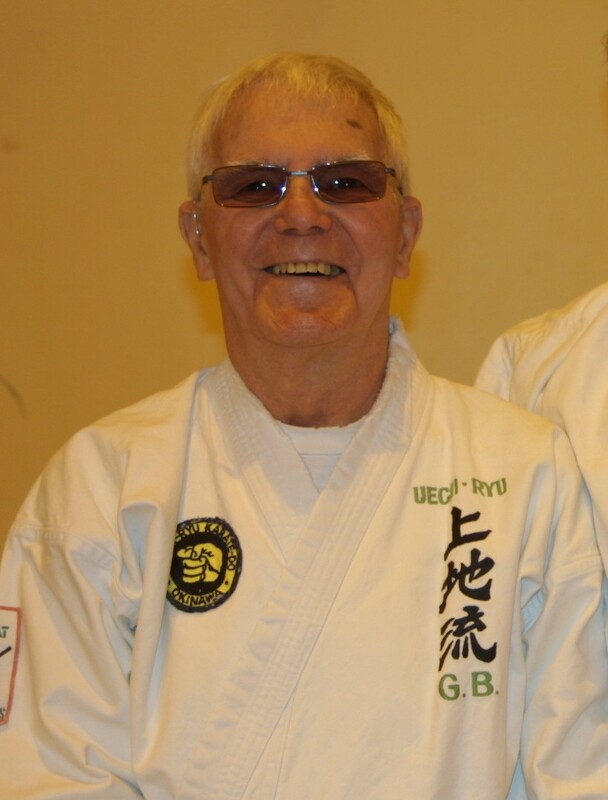 Ken also maintained his interest in Terry Daly, Paul Natzyl and Derek Charlton's Dojos over the years, and was a valued member of the Uechi-Ryu Karate Association G.B., and Board Member of the Okinawa Karate Association U.K. which he helped Paul to form. Ken was eventually unable to train, due to a decline in his health, but never lost his passion for the Art, and would often visit clubs to watch an give advise. Paul Natzyl commented that he respected Ken very much and that he was a very good friend and had offered much help to him over the years. Paul said that he was saddened by the news and that Ken will be missed. 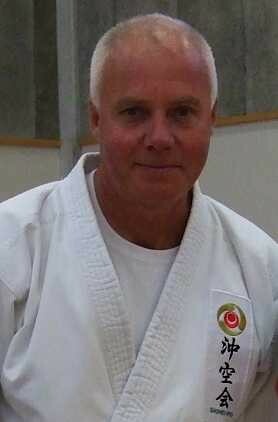 The Okinawa Karate Association U.K. would like to offer it's condolences to Ken's wife Iris, and family members. Thank you Ken, you were a gentleman and a role model to us all. On Friday 8th July 2016, Uechi-Ryu Instructor Sensei Peggy Hess 7th Dan from Boston U.S.A. visited the Brentwood School Sports Centre. 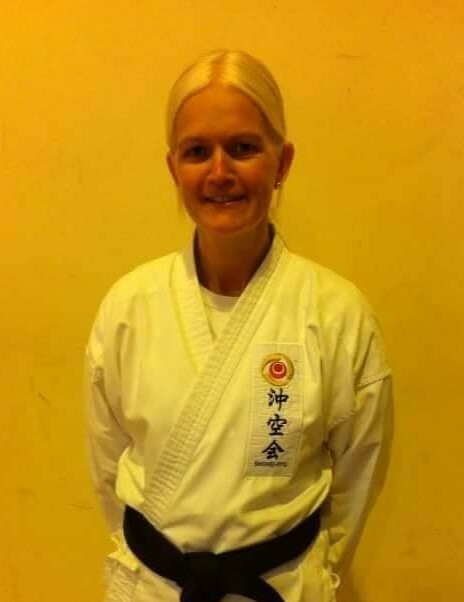 Sensei Hess has spent many years in Okinawa training with the Masters of Shohei and Uechi Ryu and as you would expect her knowledge is exstensive. Sensei Dave Harris who recently achieved his 6th Dan during a visit to Okinawa very kindly brought Peggy to the Brentwood Dojo and also participated in the Seminar. 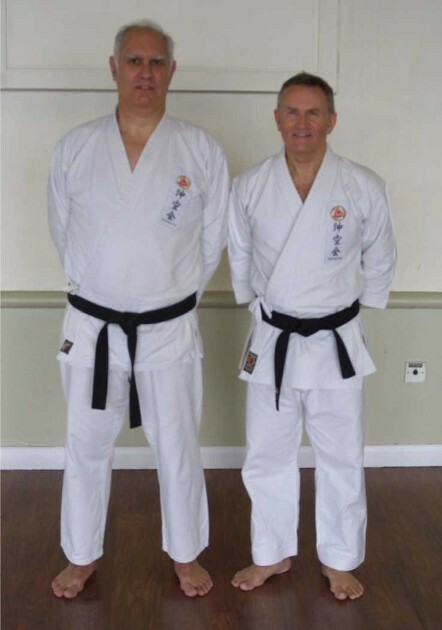 Sensei Harris hosted a training session with Peggy the previous day which was attended by Sensei Barry Coles, who reported that he was able to take advantage of a personal tuition and that it had been very rewarding. 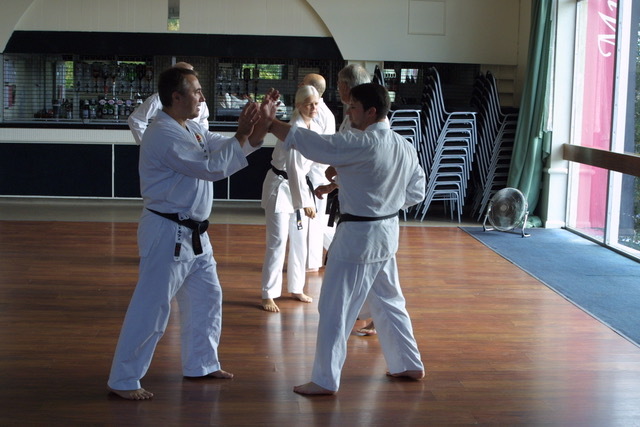 Sensei Coles added that Peggy looked very closely at his form in Sanchin and some of Hojo Undo, and said that the level of feedback from Peggy was amazing. Barry added that Peggy spent a lot of time offering advice on the Sanchin stance which is the basis Uechi-Ryu / Uechi-Ryu Karate, and trying to maintain elbow and shoulder positions to increase power of the strikes and maintaining a strong core. Barry said that the hard work at the training sessions had been very worthwhile, and that having Peggy's critical eye, looking at techniques, was invaluable. 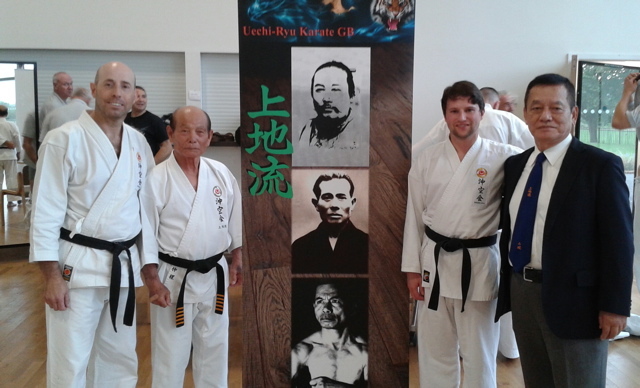 A big thank you to our friends at the Uechi-Ryu Association G.B. 's Director Dave Harris and Chairman Mick Pappas who helped in arranging the visit, and of course a big thank you to Sensei Peggy Hess for taking the time to pass on her expertise, it was very much appreciated. 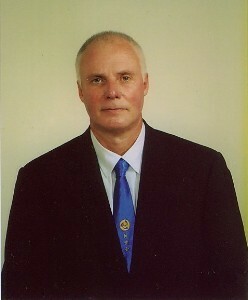 Ian Weatherley will be taking an examination for 6th Dan in September this year. 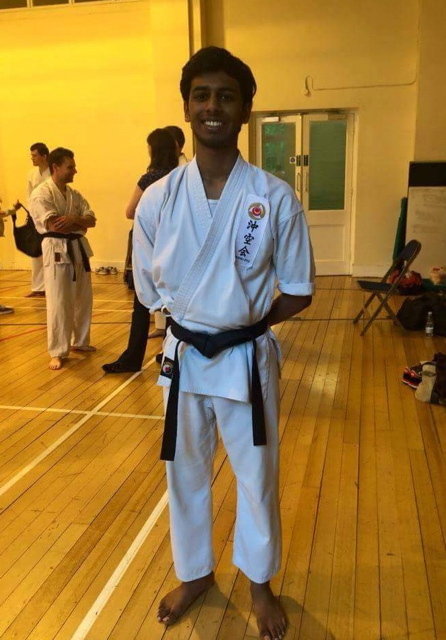 He will be attending training in Oxford that has been arranged with 3 Okinawan Karate Masters culminating in a test on the final day. 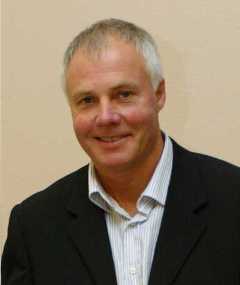 Ian is currently the 2nd highest ranked member of the Association along with Barry Coles. During a recent visit to the U.K., Paul met up with many students of the Association. Andrew Worth, who arranges the social events for the group put together an evening for everyone to catch up with each other, which was a enjoyed by all. During Paul's visit, he attended classes held at Billericay, Rayleigh and Wickford dojos formerly taught by himself and now run by Barry Coles. 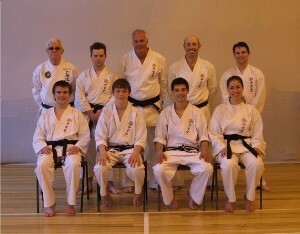 Paul also taught at an Association seminar held at the Wickford dojo, which was arranged by Barry Coles. The seminar was a great success and was attended by 25 members. Paul said that he had a great time visiting the clubs and teaching at the seminar and still has a great affection for the Association. Paul will be returning next year when possibly a grading and seminar will be held. Paul Natzyl is planning to visit the U.K. again this year. Paul will be visiting the U.K. between the 20th April and 8th May, during which time he will be visiting family, friends and U.K. Karate students. 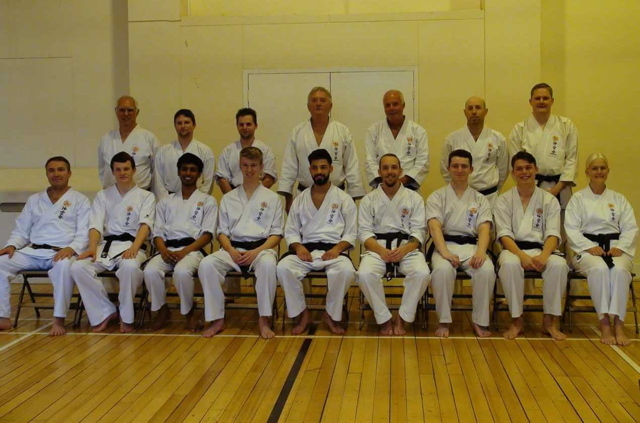 Paul Natzyl visited the UK in June and attended many of the Shi Gakko Shudan clubs belonging to the U.K. Association as well as hosting a Black Belt grading. Paul said that it was wonderful to be back and see many of the U.K. students. He was delighted that so many had continued to show their keen interest in the art and also to be able to meet some of the new students. He also commented that it was very satisfying to be able to maintain an active roll in the affairs of the U.K. Association, which Paul now operates from New Zealand. 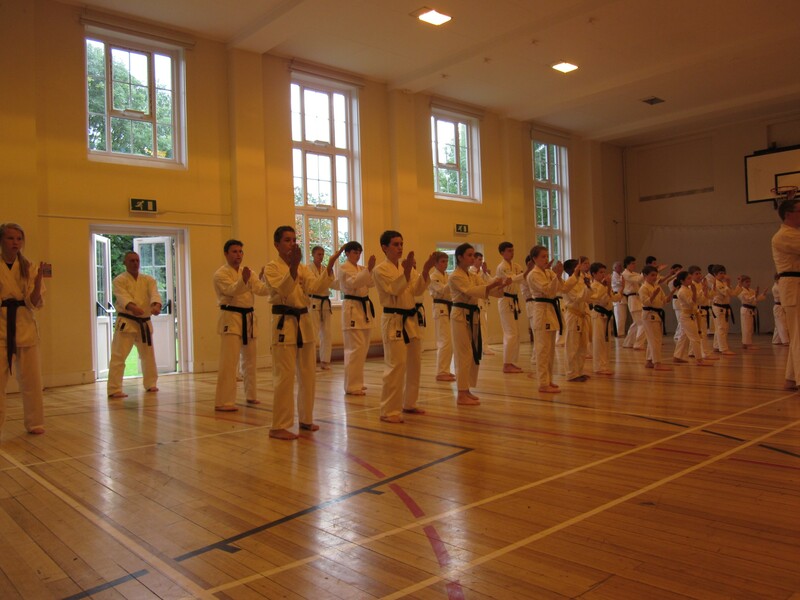 On the 13th June 2015 a Dan Grading was held at the Brentwood School Sports Centre, home to the Brentwood branch of the Shi Gakko Shudan. Nine students were examined, eight from the various clubs belonging to the Shi Gakko Shudan and one from the Orpington Club. The grading panel included the President of the UK Association, Paul Natzyl and Senior Members, Derek Charlton, Barry Coles, Tony Coles, Simon Lee and Ian Weatherley. Roy Stevens was also invited by the panel to participate as a guest examiner for the occassion. Barry Coles, Shi Gakko Shudan Head Instructor said the standard was very high this year due to the hard work and dedication shown by all of the students. Well done everyone! We look forward to continuing with your training and may your success prove and inspiration to all. President Paul Natzyl, former owner and instructor of the Shi Gakko Shudan said that he was very proud of the students and the way they had performed on the day. He added that it was a priviledge to be able to grade the students to Black Belt after teaching them for so many years. Paul also congratulated Barry on getting everyone prepared and to the correct standard for examination. Congratulations to the following nine participants for passing their various grades. Jennifer Lock showed tenacity and dedication along with a lot of hard work to achieve her grade. Divyen Vanniasegaram achieved his grade in the nick of time along with Alex and Thomas. All off to University later in the year. I'm planning to visit the U.K. in June of this year. I will be spending a couple of weeks visiting family, friends and clubs belonging to the U.K. Association. I will also be attending the Associations black belt grading to be held on the 13th June 2015 at the Brentwood School Sports Centre , starting at 1.00 p.m. (to be confimed). I can't wait to visit the clubs and look forward to meeting some of the new members that have joined since my move to NZ. It will give me great pleasure to be part of the examination board once again, and being able to test students whom I had taught for so many years, for their Black Belt grades. 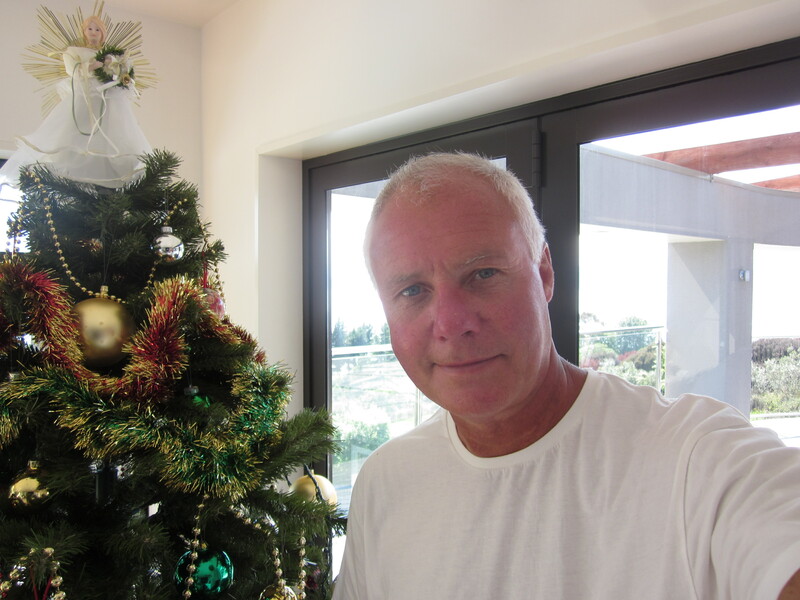 I wish you a very Merry Christmas and Happy New Year from New Zealand. I have missed you all but have been keeping in regular contact with Barry and his wife Clare about what's going on at the clubs. It's gives me great satisfaction to see that so many of you are continuing with your training and offering so much support to Barry, please keep it up. 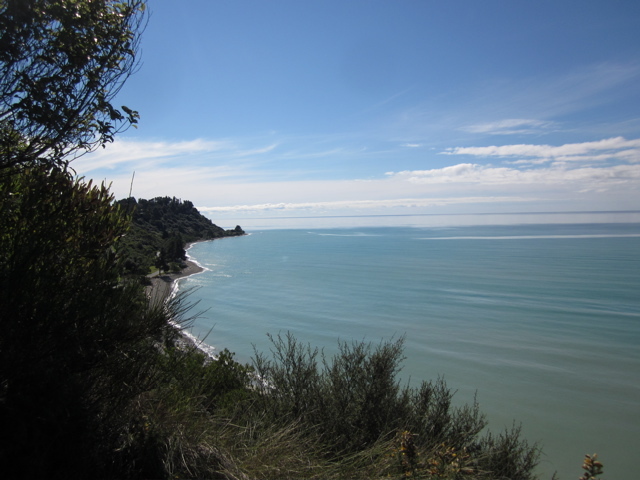 I have established 5 clubs here in New Zealand since arriving and have taught over 80 students over the few months. I am very pleased with the progress made so far. I am going to miss the traditional U.K. Christmas but a trip to the beach on Christmas Day is going to make an enjoyable change. Please keep in touch and hope to see you in 2015 sometime. Visting the clubs will certainly be one of my priorities., so see you then. Okinawan Master Instructor Sensei Yamashiro Visits the U.K.
On Friday 10th October 2014, Karate Master Sensei Yamashiro visited the Brentwood club. His flying visit only lasted for about an hour, but during that time the students of the Okinawa Karate Association U.K. were able to take advantage of the 8th Dan Masters tuition. The class were put through their paces with a variety of punching and kicking drills. Sensei Yamashiro normally visits the U.K. for only a week at a time and has a busy schedule trying to visit most of the students in the U.K practicing both Uechi-Ryu and Uechi-Ryu. 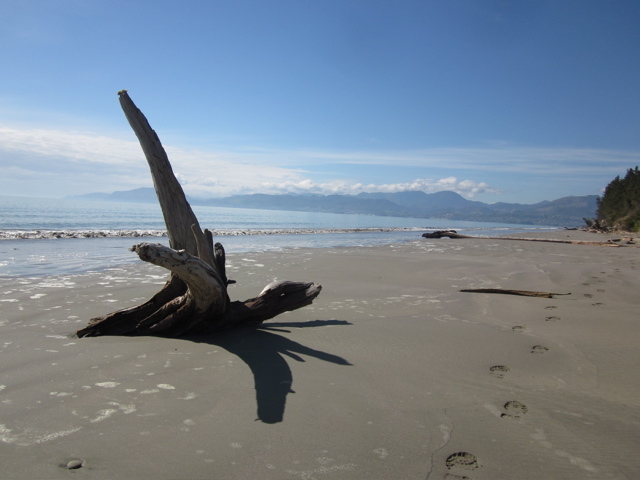 Success so far, I have been able to open 5 clubs in total, mainly teaching children at this stage, in Brightwater, Lower Moutere, Mapua, Upper Moutere and Ngatimoti. In the opening week I taught about 60 students, so pleased with success so far. Hi to everyone in the UK, I hope your training is going well. 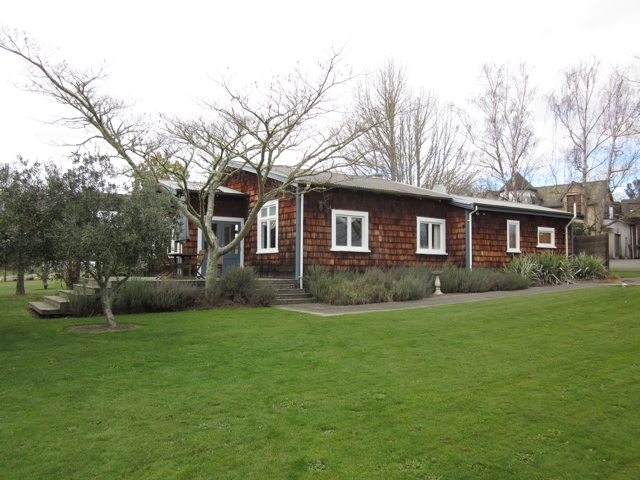 Settling in here gradually and have set about acquiring halls and students for the NZ branch of our Association. 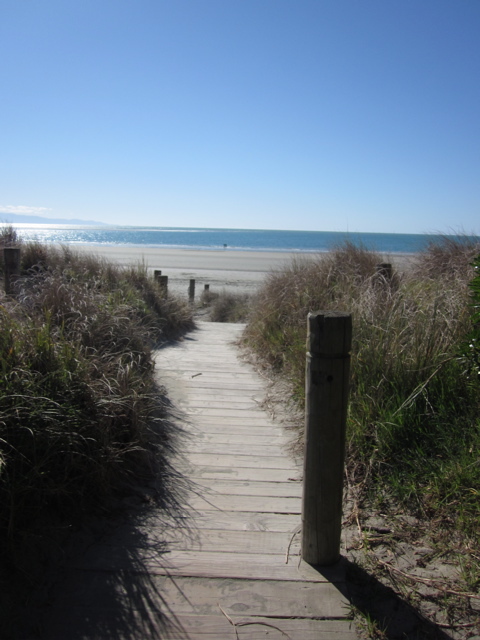 Have clubs opening in Mapua, Lower Moutere and Upper Moutere towards the end of October. I have also starting making plans and arranging equipment for a Kick Boxing class in Upper Moutere, similar to the Fighting Fit class that I used to run and now revived by Barry Coles (Barry's class is held first Saturday of every month at Castle Hall, Rayleigh). 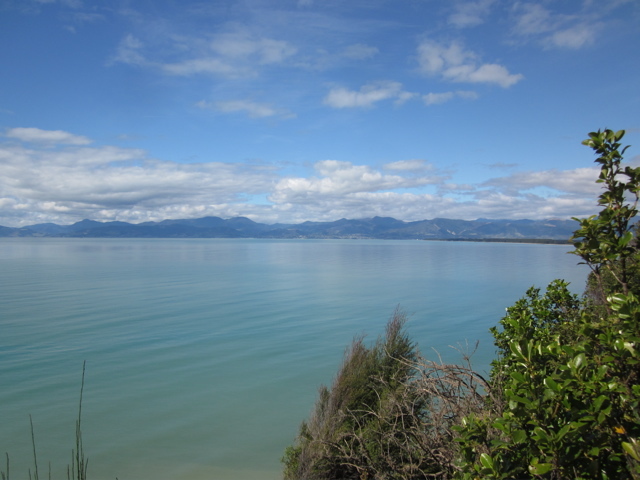 I have included some photos below of the local area. Further updates will follow soon. Message from Paul Natzyl regarding move to New Zealand. After 28 years of teaching the Shi Gakko Shudan Karate clubs, it is with great sadness, that I have to inform you that I will be handing the clubs over and we will be emigrating to New Zealand. 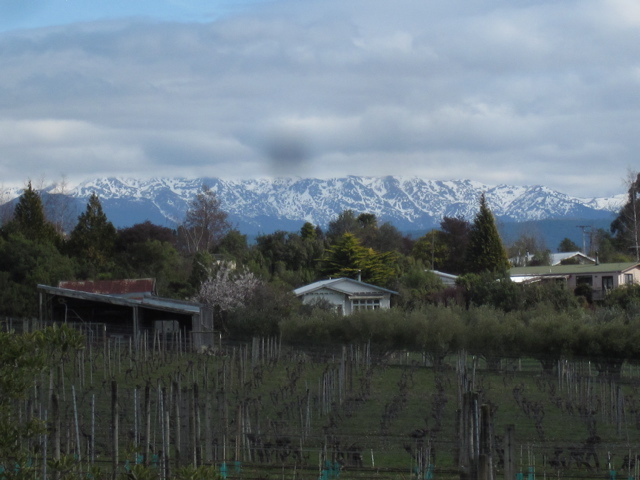 Despite the attraction of living in New Zealand, the decision has been very hard for me to make for various reasons, one of which is having to leave all of you. 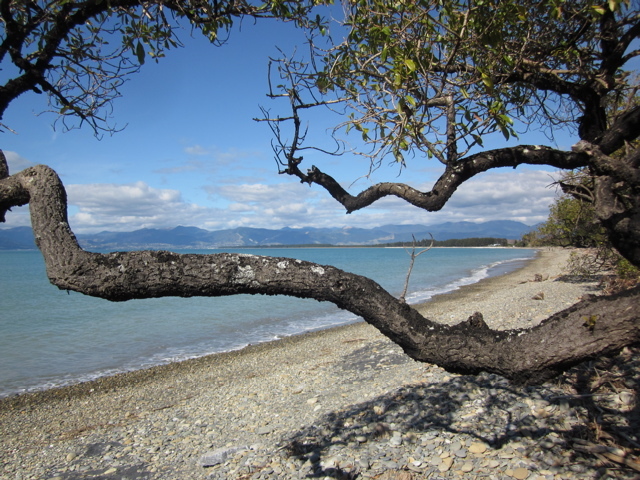 Uechi-Ryu is not taught in New Zealand at present. I therefore intend to establish the style there by opening some clubs and forming a New Zealand Association. For the foreseeable future, I will also remain President of the Okinawa Karate Association U.K. and will endeavour to visit the U.K. from time to time. The senior members of the U.K. Association, Derek Charlton, Barry Coles, Tony Coles, Simon Lee, Ken Smith and Ian Weatherley will act on my behalf. 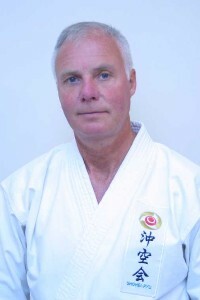 The Shi Gakko Shudan clubs will continue under the instruction of Barry Coles. 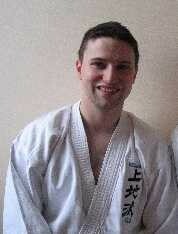 Barry is one of the highest ranked Uechi-Ryu Instuctors in the U.K., holding the rank of 5th Dan. Many of you will have met Barry already, as he has taught for me during my absence in the past. I am confident in Barry's ability and comfortable with him taking over the clubs. Im sure he will bring his own special contribution to the group. I ask that you will help him, by giving your full support and co-operation. Barry will take over from me on Tuesday 26th August 2014. My last lesson will be held on Friday 22nd August 2014 at the Brentwood School Sports Centre. I have devoted most of my life to Karate and have felt very priviledged to have made it my career. Over the years I have met so many wonderful people, made many friends and have many memories to treasure, for which I thank you. You can keep in touch with my progress via the above website and also contact me on the email address above. I will post any other contact details on the website as things develop. My very best regards to you all. I will miss you very much. 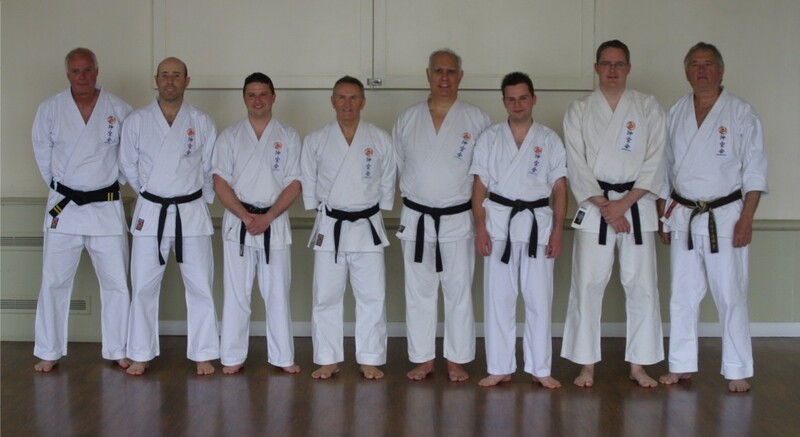 A Dan grading was held at Mill Hall in Rayleigh, Essex on Saturday 17th May 2014. The grading was held between 10.30 a.m. and 12.00 Noon. Roy Stevens and John Pike from the Rayleigh club both tested for 2nd Dan and were both successful. Our congratulations to John and Roy. 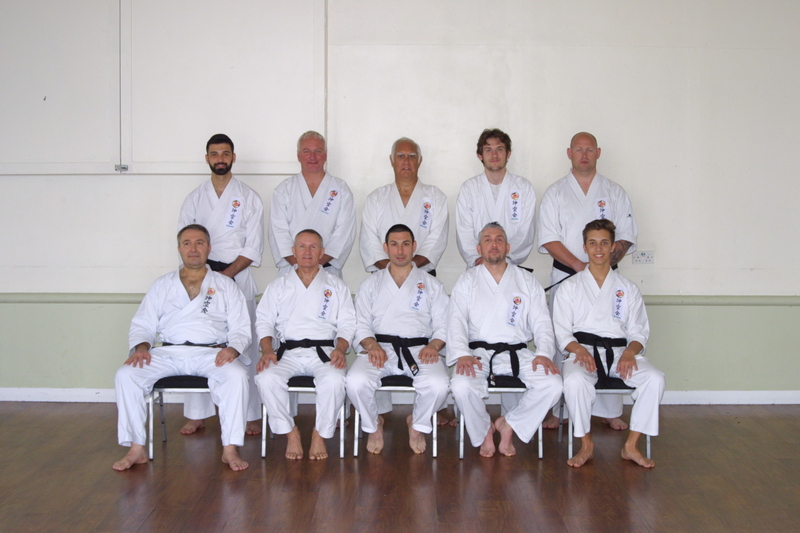 Grading panel and examinees, left to right, Paul Natzyl, Ian Weatherley, Barry Coles, John Pike, Roy Stevens, Tony Coles, Simon Lee and Derek Charlton. Grading panel, left to right, Paul Natzyl, Barry Coles, Ian Weatherley, Tony Coles, Simon Lee and Derek Charlton. Seminar with Hirokuni Yamashiro San, 8th Dan Black Belt. 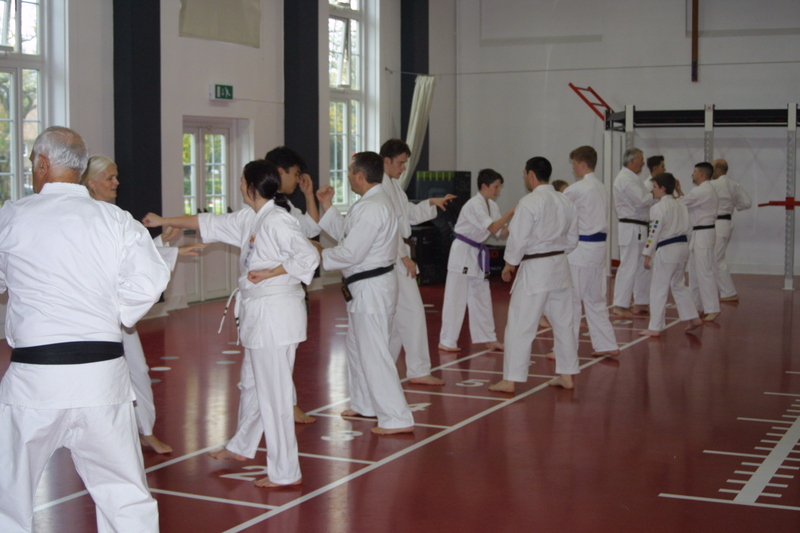 On Saturday 5th October 2013, the Okinawa Karate Association U.K. hosted a seminar for it's students and those of the Uechi-Ryu Karate Association G.B. 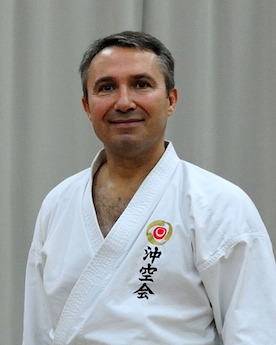 to train with 8th Dan Black Belt and Shihan (Master Instructor), Sensei Hirokuni Yamashiro. Students from Essex joined those from Cambridge, Kent and London for the 3 hour seminar with the Okinawan Master of Uechi-Ryu Karate. The training held at Brentwood School Sports Centre, formed part of many training opportunities arranged by the two U.K. Associations. Other locations on Yamashiro San's (Mr.) itinerary are London, Oxford and Kent. Thirty six karateka (students of Karate) attended and were given instruction on Kata, Daiti Yakosoku Kumite and Saneiryu Bankai. Children from about the age of 9 and adults were able to train together, which enabled several families to take advantage of this unique experience. Younger children had the option to train for just half the seminar. During his visit to Essex, Yamashiro San was also able to enjoy one of his favorite pastimes at the Crondon Park Golf Course. Hirokuni Yamashiro San, 8th Dan Black Belt to Visit U.K.
Hirokuni Yamashiro San will be visiting the U.K. once again, and will be teaching at Brentwood, Essex. Adults and children from 9 years of age belonging to the Okinawa Karate Association U.K. and the Uechi-Ryu Karate Association (G.B. ), will be able to attend the training session. 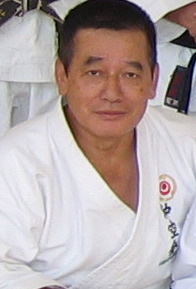 Hirokuni Yamashiro San is ranked Kyoshi 8th Dan Black Belt, and is a representative of the parent Association in Okinawa, Japan. This is a rare opportunity to train with an Okinawan instructor of such high rank and should not be missed. Details of seminar are as follows. 5.15 p.m. Final speeches, talk with Yamashiro San, photos etc. Cost for the whole training session - Ã‚Â£12.00. Cost for half the training session - Ã‚Â£6.00 (optional for children under 12 years only). Payment by Cash or Cheque. Cheques payable to P. Natzyl. Receipts from the event are needed by the Okinawa Karate Association U.K. to go towards venue hire, transportation and other costs incurred by Yamashiro San's visit. I therefore respectfully ask all attendees to pay regardless of rank, position or any other circumstances they may have. Payment to be made prior to admission. Herne Bay club instructor Lee Adams, has recently been awarded the title of Shihan (Master Instructor) by Okikukai in Japan. 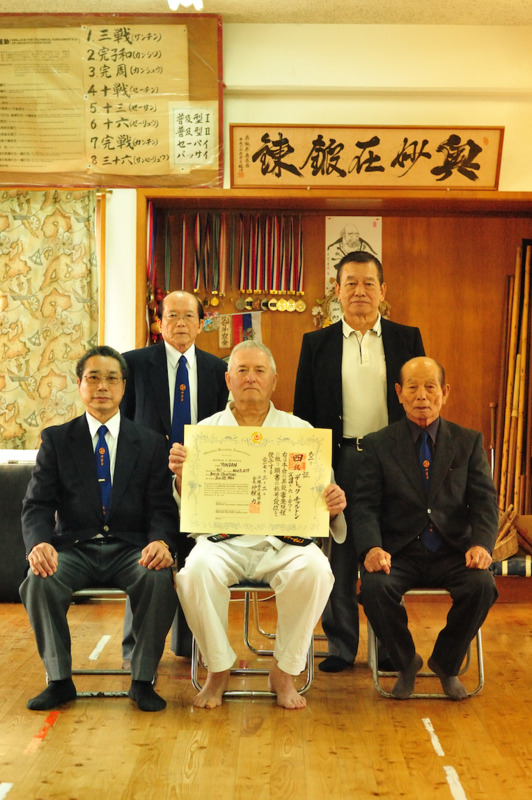 Lee has also been recognised by the Okinawans as a Chartered Dojo owner. Congratulations Lee! The following students took part in the Association's Dan Grade examination on Saturday 4th May 2013 and were successful in achieving the following ranks. 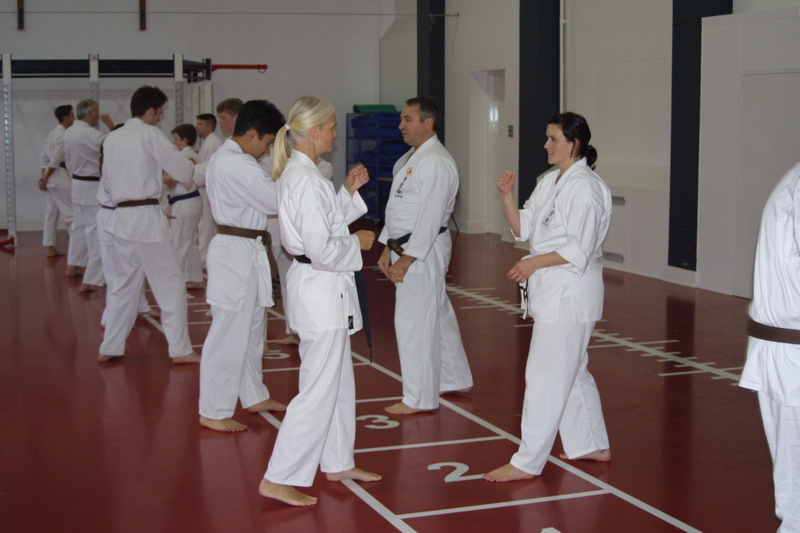 The grading examination took place at the Brentwood School Sports Centre in Brentwood, Essex. 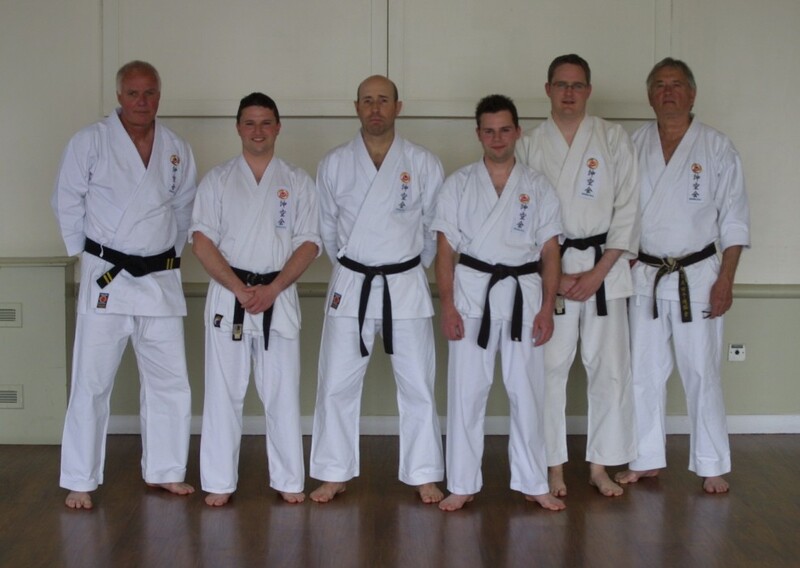 Back row, left to right, examiners Derek Charlton, Simon Lee, Ian Weatherley, Tony Coles and Paul Natzyl. Front row, examinees Lee Adams, Barry Coles, Reggie Went and Joe Rapley. 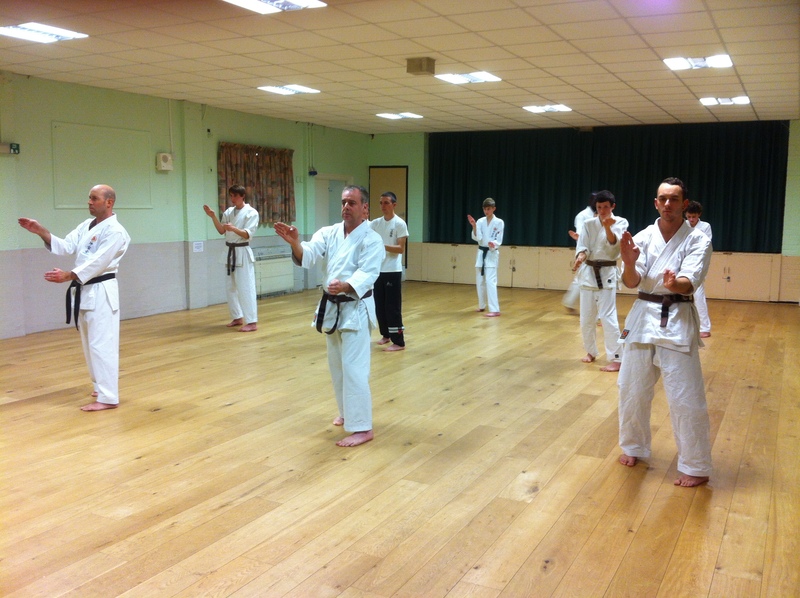 Sensei Al Wharton 8th Dan Black Belt from Bermuda paid a visit to the Billericay club on Tuesday 8th January 2013. 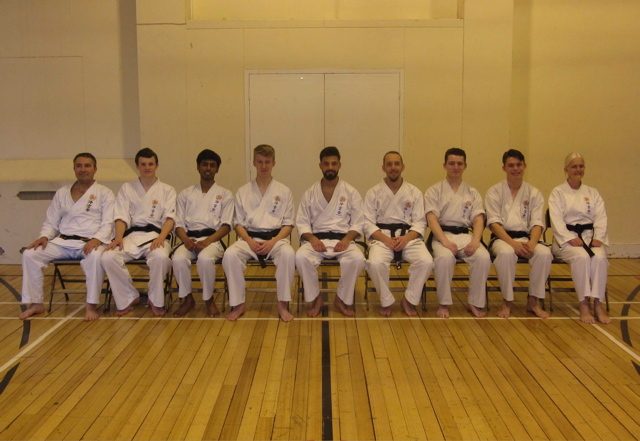 There was short notice of the Uechi-Ryu Master's visit but several students from the Shi Gakkou Shuudan managed to re-arrange their schedules in order to attend. 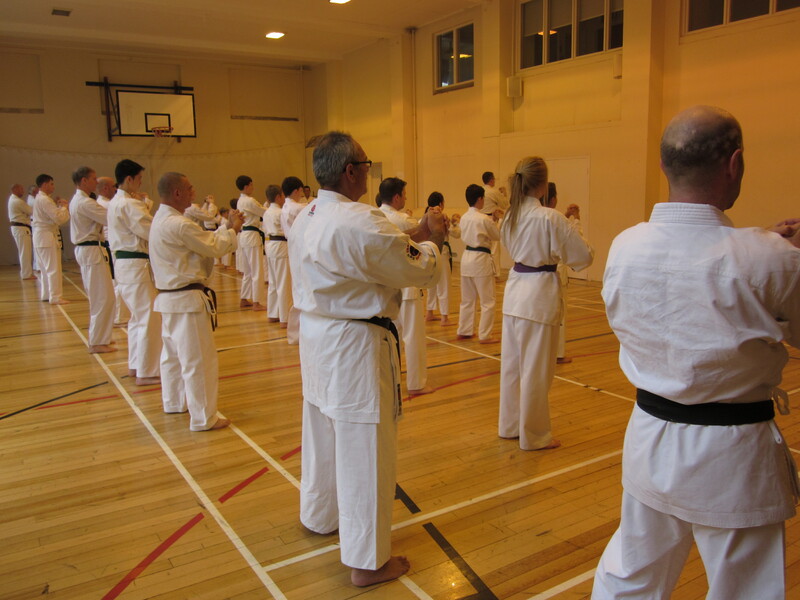 During the one and a half lesson, Sensei Wharton took the group through katas and Kumite along with some practical self-defence applications. 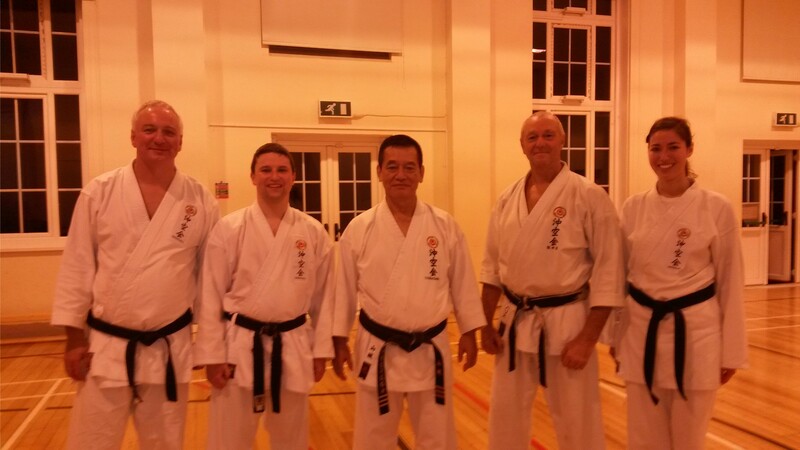 Sensei Wharton is friends with Bromley club instructor Derek Charlton, who was also in attendance. Sensei Wharton is here to spend some time with his family in the U.K.
A new club has opened in Cambridge, Cambs and has been started by Nick Wilkins a student of Paul Natzyl and a member of the Shi Gakkou Shuudan (Four School Group). 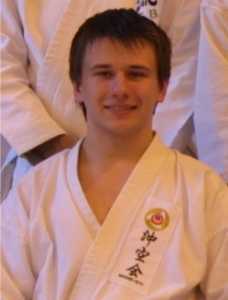 Nick passed his Black Belt last year and has been studying at Cambridge University. Nick is hoping to blend basic self-defence with the Uechi-Ryu syllabus along with other techniques taken from various Martial Arts, in the true tradition of the Shi Gakkou Group. Classes are held at Clare College, The Colony, Chesterton Lane, Cambridge CB4 3AA every Monday between 5.00 p.m. and 6.30 p.m.. Nick can be contacted by email at nmw33@cam.ac.uk. Tony Coles new club has now opened and has had some success in attracting children from the local community. Tony said that he has had small classes but has seen a steady growth in numbers over the weeks. It is hoped that once the schools return after the Summer holidays that things will settle down and that the club will grow in numbers. A new club for children is to open in Grays, Essex soon. 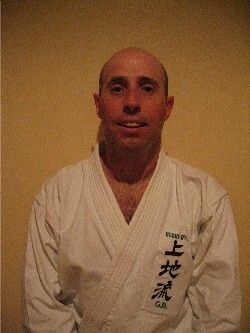 Shi Gakkou Group Instructor, 4th Dan Black Belt Tony Coles will be opening the new club in Grays on Wednesday 18th July 2012 with a 1 hour lesson for children between 3.30 p.m. and 4.30 p.m. at the Stanley Lazell Hall, Dell Road, Grays, Essex RM17 5JZ. Enquiries should be made to Tony Coles on tel. no. 07961 719784. Tony is hoping to provide classes for adults soon, so please contact him if you are interested. 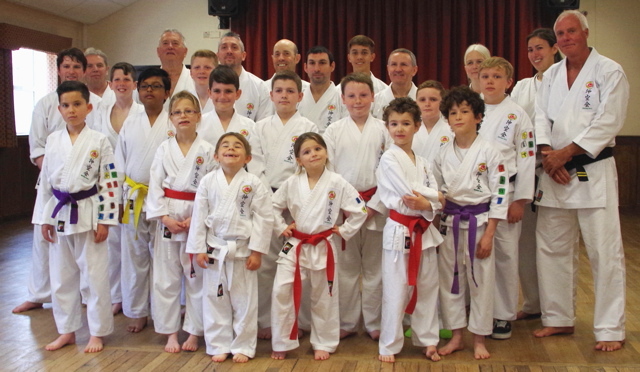 The opening of the new club in Grays will expand the Okinawa Karate Association U.K to 7 clubs, providing classes for children and adults at different location throughout Essex and Kent, almost doubling the number of clubs it started with 18 months ago. 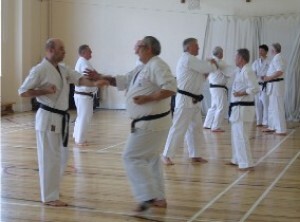 On Saturday 12th May 2012 the Association held it's first training session, aimed at those working towards Dan Grade examination and to those teaching the Black Belt syllabus. The two and a half hour lesson held at the Brentwood School Sports Centre was attended by 20 members from Essex and Kent. The session was organised and taken by the Association's President Paul Natzyl with the assistance from some of the Association's senior members, Derek Charlton, Barry Coles, Tony Coles and Ian Weatherley. Paul thought that the day was a huge success despite not having enough time to cover everything he wanted to. The feedback and comments from those that attended were very positive. It is therefore proposed that the Association get together again soon for another course soon. 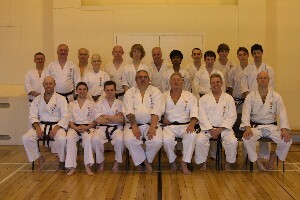 A Dan grading was held by the Okinawa Karate Association U.K. at the Brentwood Club on Saturday 29th October 2011. 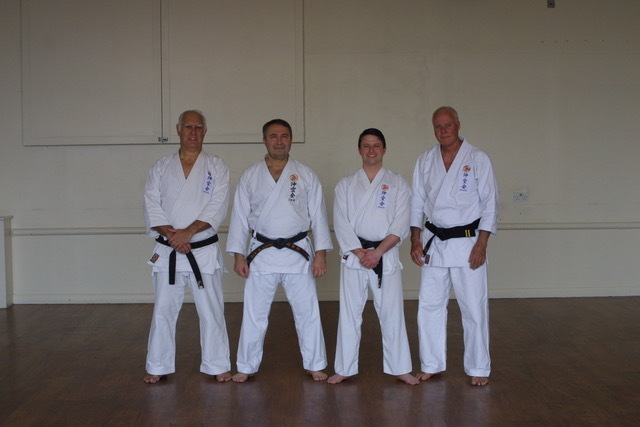 Brentwood student Simon Lee was successful in passing his 3rd Dan examination along with Rayleigh students John Pike, Tony Coles and Ian Weatherley, who passed the ranks of 1st Dan, 4th Dan and 5th Dan respectively. Rear left to right, grading panel members Barry Coles, Derek Charlton, Paul Natzyl & Ken Smith. 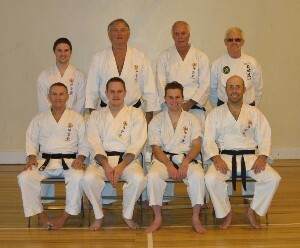 Front left to right, wearing his new black belt, John Pike, along with Simon Lee, Tony Coles and Ian Weatherley. The first Dan grading of the newly formed Okinawa Karate Association was held at the Brentwood Club on Saturday 7th May 2011. Rayleigh students Joe Rapley and Reggie Went were succesful in passing Junior 1st Dan along with Nicholas Wilkins who was awarded a Senior 1st Dan. Brentwood student jacqueline Purser also tested for Senior 1st Dan and was successful. Rear left to right, grading panel members Ken Smith, Tony Coles, Paul Natzyl, Ian Weatherley & Barry Coles. 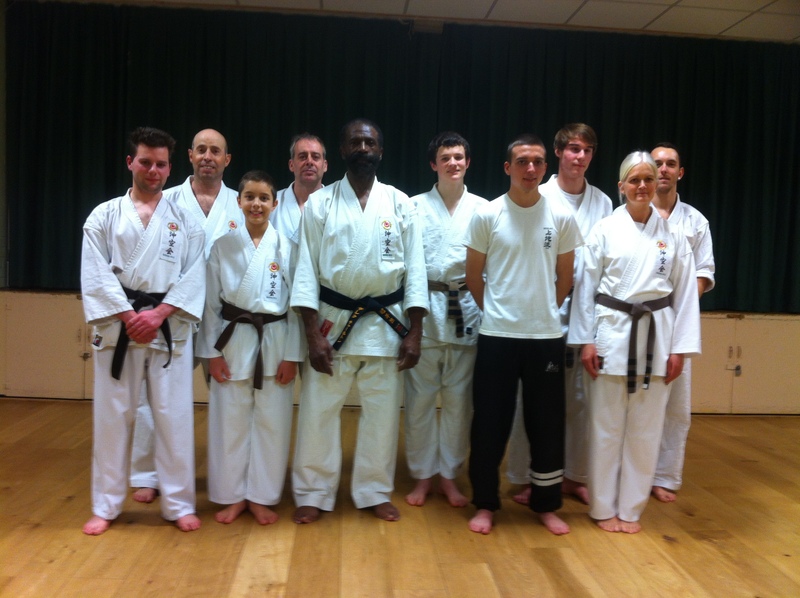 Front left to right, wearing their new black belts, Nicholas Wilkins, Joe Rapley, Reggie Went & Jacqueline Purser. 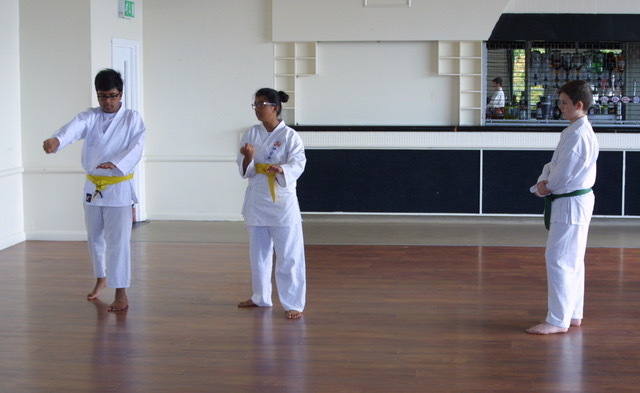 U.K. Students train with Okinawan Karate Masters. 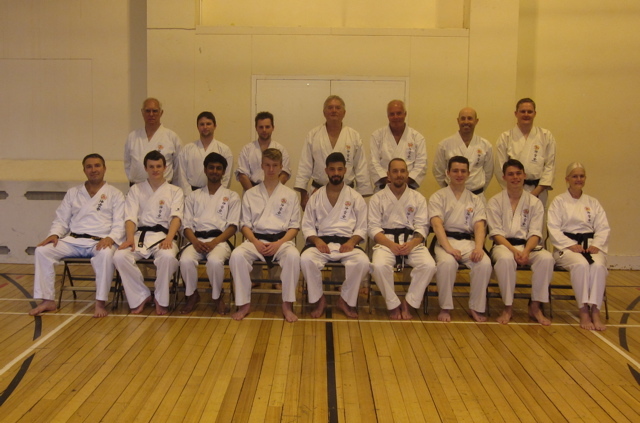 Students took full advantage of Karate Masters Sensei Yamashiro and Sensei Higa flying visit to the U.K. Two, two hour training sessions were arranged with the 8th and 6th Dan experts over two days. 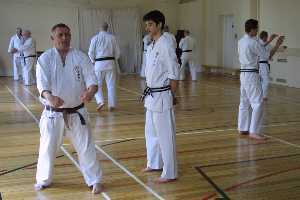 Lessons were held at the Calso Health and Fitness Centre Dojo in Bromley, Kent, run by Derek Charlton. 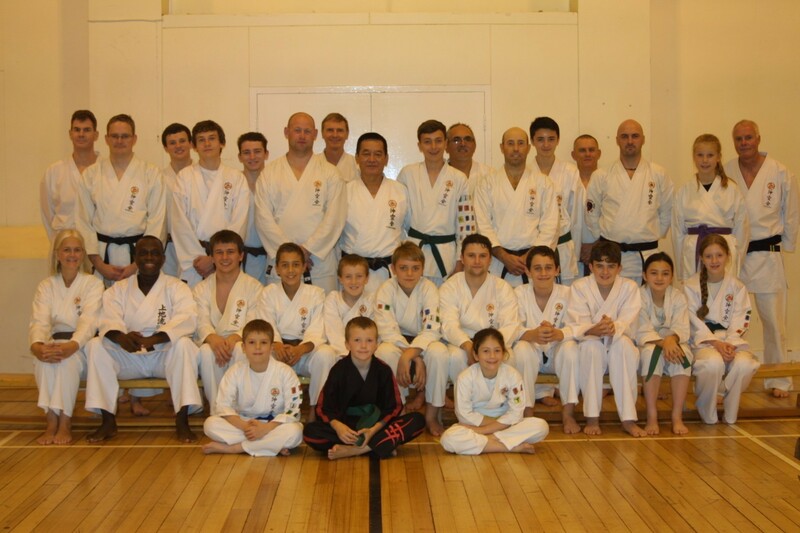 Members of the Okinawa Karate Association U.K. were invited along with members of the Uechi-Ryu Karate Association G.B.. Despite plans for the visit being finalised only a few days beforehand, many members were able to attend an enjoy the rare experience. 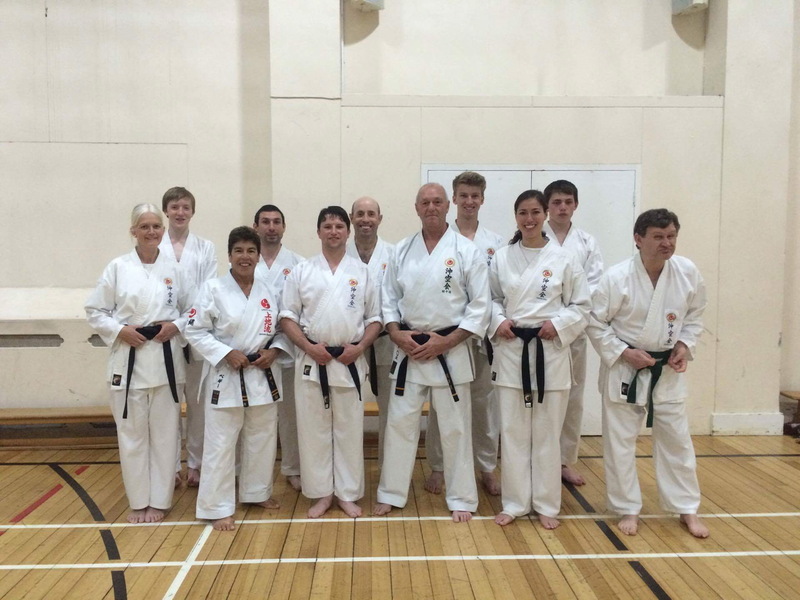 President of the Okinawa Karate Association U.K. Paul Natzyl has just returned from Okinawa, Japan where he undertook five days of intensive training. During his visit to the parent Association, the Okinawa Karate-Do Association Japan, also known as Okikukai, on the Japanese Island regarded as the birthplace of Karate, Paul trained with some of the highest ranked Karate masters in the world. His visit culminating with him passing an examination for the rank of Kyoshi 7th Dan. 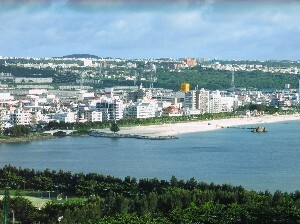 The following is an account of his Okinawan experience in his own words. 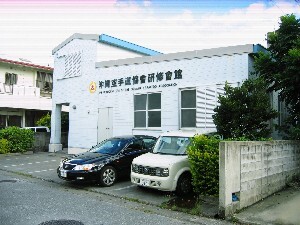 I trained at the Association headquarters at Chatan-Cho for most of the time but was able to visit two other dojos (training halls) close by other occassions. The four hours of training nearly every day from Monday to Friday was gruelling. Two hours in the morning and two in the evening. I even had to train for an hour before my exam. Temperatures were 30 degrees centigrade and above with humidity and the dojo's were not air conditioned, There were only a few electric fans to help keep temperatures down. I am used to training for about 2 to 3 hours per day normally, between Monday and Friday but with the heat and the jet lag, things were very difficult for me. My gi's (karate suits) were soaking wet with sweat during the sessions. Even my belt was wet. This made my gi seem as if weight twice as much, making things worse. I received personal tuition, mainly with sensei (teacher) Hirokuni Yamashiro, ranked Kyoshi 8th Dan. Quite often, there would be a 9th or 10th Dan also in attendance, watching my techniques and offering their advice, many of them in their 70's and 80's and still training. Their fitness and expertise is remarkable. They made me do things over and over again to improve my technique. That's what I expected and needed from such experts. I knew that the training on Okinawa would be hard, I wanted to be challenged and I was. At the start of the week I was very concerned as to whether I could put all of the corrections that had given me into place, in time for the test. I had a notebook in which I kept a record of the improvements and changes I had to make, this had to be kept up to date and studied in between lessons. As the week progressed I was gradually putting things into place and felt a little more confident, but would I meet the requirements for the biggest test in my Martial Art career. 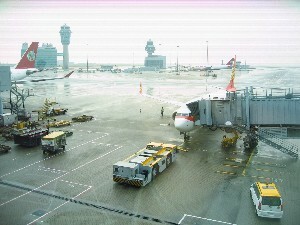 Left for Okinawa from Heathrow Terminal 5. Arrived at Hong Kong and took a flight to Okinawa, arriving late evening. 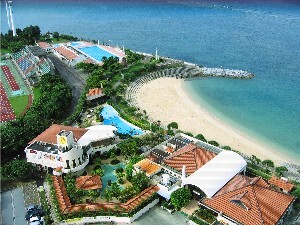 Collected by Humiko Tsuchida, one of Yamashiro sans students and driven to the Beach Tower Hotel at Chatan. Collected by Yutaka Higa san a Director of the parent Association, another of Yamashiro san's students and taken to Okinawa City Martial Arts Hall to watch a tournament between Uechi-Ryu students on the island. After the tournament I made a speech in Japanese to officials and competitors which fortunately most people seemed to understand and then invited to an informal party at headquarters by Takamiyagi san and then asked to make another speech. I commended the participants of the tournament for their strength and good technique. Takamiyagi san noticed that my portrait was not on the wall with the other instructors from around the world. I offered to send him a photo and he said that he would arrange for me to visit a professional photographer tomorrow, so that my picture could be added. He asked if I have an Association tie and I replied "no", so he promptly took off his tie and said that I could borrow it. He asked if I have a jacket. Again I said "no". So he took of his jacket and said I could borrow it. Collected from hotel at 9.30 a.m by Yamashiro san and taken to the headquarters for a 2 hour training session. Concentrated on the three katas for my 7th Dan exam, Sanchin, Seisan and San-Sei-Ryu. I was asked to repeat the moves over and over again and received many corrections. There were heavy pots which are used in conjunction with the stepping and turning routine in Sanchin Kata. The pots had to be held at the neck by just the finger tips and thumb knuckle joints. 12.30 p.m. taken by the photographer and another man to the studio, I was still sweating from the training session, and finding it really hard to cool down. The photographer had a really large camera with an apron on the back, under which he constantly disappeared. He moved the camera into different positions whilst another man adjusted the studio lighting. All the time I was thinking, I have some time to cool down whilst they are making the adjustments, the longer they take the better. He took the pictures and then picked up an SLR camera and took some more photos. He printed some off and I asked if I could have one of the photos. He gave me the two that he printed. Him and the other man then took me back to the hotel. On the way back we were talking and the photographer told me that he did Goju-Ryu Karate. Collected again at 5.00 p.m by Yamashiro san for more training at the headquarters which lasted about an hour. Back to hotel and collected by Higa san and taken to an official party to celebrate the tournament. Sat at table with Tomoyose san, Inada san, Takamiyagi san, Higa san and Machida san. Received a Takamiyagi Dojo t shirt and made another speech in which I complimented again the tournaments participants and winners. Collected by Yamashiro san from hotel at 10.00 a.m. and taken to HQ. Inada san was also there. Finish about 12.00 p.m.. Takamiyagi san phoned headquarters and said he would take us to lunch. He said he would collect me that evening and take me to his dojo, despite a typhoon on it's way. I wondered whether he would be able to due to the adverse weather conditions. However that didn't stop him, he arrived in the midst of the storm and he drove us the couple of miles to his dojo regardless. During the training we heard what appeared to be tapping on the window. Takamiyagi san opened the window and received a lashing of the rain and wind, then promptly closed the window. I suggested to him that it may have been a tree branch being blown against the window. 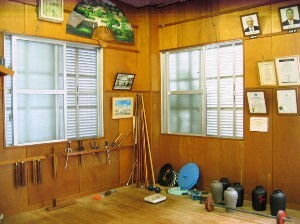 The tapping continued and Takamiyagi san said that he would go to the front door of the dojo to see if anyone was there. When he opened the door, it was Toshio Higa san, very wet and windswept. He had been waiting outside in the storm for some time. Both put me through my paces. There were just the three of us, with the wind howling and the rain beating on the windows. It all seems surreal. Takamiyagi san gave me two books on the Association members around the world and containing valuable training information. Takamiyagi san said that he had to go on a trip and was sorry that he would miss my grading exam. He wished me success and we said good-bye. Collected at 9.30 a.m. by Inada san. Train at headquarters with him and Yamashiro san. Go to restuarant for lunch. Inada san took me back to hotel. Afternoon in spa at hotel and then take taxi to HQ for 7.00 p.m. start with Nakahodo san and Yamashiro san. Collected by Kay at 10.00 a.m., student of Takamiyagi san and taken for day out to an aquairium in the north part of the island. Hatsuko Machida san kindly lent Kay the car for the trip. We collected Inada san on the way. Spectacular coastline drive, the sea was blue, green and turqoise, with little islands dotted here and there. 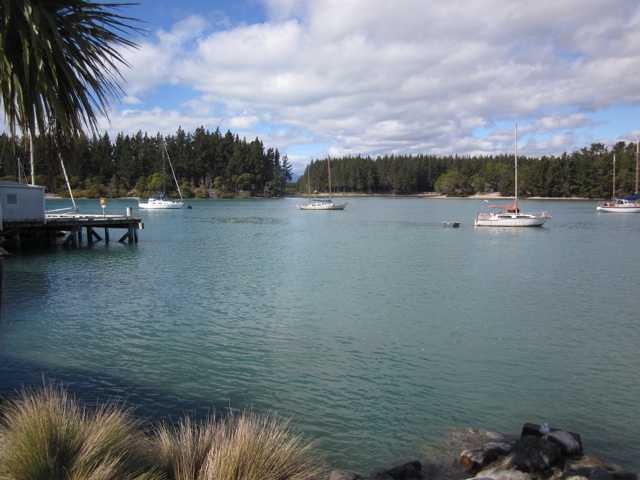 The area is a popular with divers. Amazing Aquarium, we stopped on the way back to the hotel and Inada san bought lunch and then later we stopped again for some KFC. Yamashiro san collected me at 7.50 p.m and we went to his dojo. 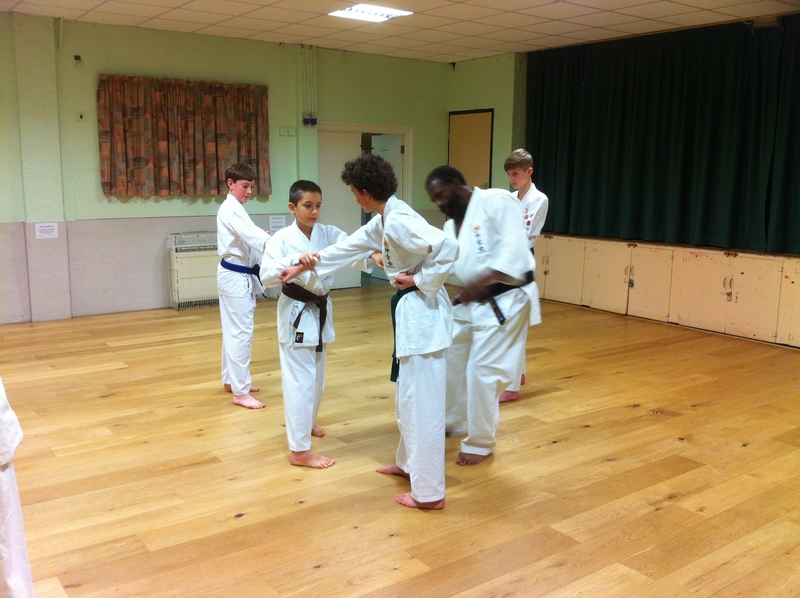 Lots of makiwara training and classical music playing whilst training. 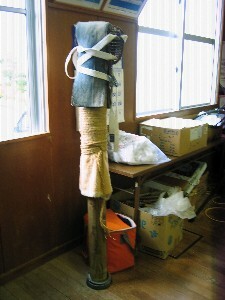 Exercises include striking many times with the knuckles, elbows and shins a a striking post known as a makiwara, which was basically an upright piece of wood covered with a single layer of rope. The idea is to condition the striking areas of the body. Another exercise was kicking a sandbag, which was suspended on a low rail, with the tip of the big toe. After kicking the sandbag, it would swing forward and as it did so you would prepare to kick again on it's return. Their was also a heavily weighted bar bell, which is used in conjunction with the stepping and turning routine used in Sanchin Kata, similar to the exercise with the pots. After each step you would have to extend the arms into the down position and then pull up into the bent arm position. Scott Higa san, a friend of Yamashiro san arrived whilst training, then finished at about 10.00 p.m..Taken back to hotel by two of Yamashiro san's students. Collected by Inada san at 9.30 and went to headquarters for grading paractice. Yamashiro also there. Scott Higa arrived and did some training too. Finish at about 12.00 p.m. Yamashiro san said that Higa san would like to take us for lunch but I declined feeling the need to recover and prepare for the evening grading examination. Inada san took me back to the hotel. He said that he would collect me at 6.30.p.m. for practice then grading exam at 8.00 p.m.. The morning session had left me drained and I knew I had to recover for the evening, so I took a traditional Japanese massage, followed by sleep and a long soak in a deep, hot bath. I hadn't really eaten much and time was running short. I went to the little supermarket in the hotel lobby and bought two tubs of ice cream and two bottles of cola in a hope that it would give me the energy I needed. I consumed it all immediately I got back to the hotel room. I packed my bag making sure that I had a clean gi for the grading. Inada san collected me at 6.30 p.m and took me to headquarters for a practice before the grading at 8.00 p.m. Kata, over and over again. Nakahodo san, Higa san Yamashiro san and Arakaki San arrived and set things up. Scott Higa san also arrived to watch. 8.00 p.m. I changed into the clean karate suit and hoped for the best. I had to perform the three Katas I had been practicing during the week, Sanchin, Seisan and San-Sei-Ryu. The new corrections had caused me some concern, as I was so proccupied with putting them into place that I had occassionally been missing out moves completely. I had previously been told that if I missed a move I would be marked accordingly and would not be given a chance to do things again. We started with Sanchin Kata, so it was jacket off and I prepared for a severe test from Yamashiro san, As expected the test was hard, and included being stuck with force to the shoulders, arms, stomach and legs, needing good muscular control, correct breathing pattern and a strong stance. One blow from behind to my right calf, forced me to have to adjust the position of my feet, in order to regain my stance. Three Katas later the test was over. Fortunately it seemed that I had been able to put most things into place. I can't remember missing out any moves. I felt satisfied that I had done my best. The grading panel stood and lined up in front of their desk. I was called and stepped up in front of them. They then announced that I had passed. I made a short speech in Japanese again and the the certificate was presented to me and then we posed for some photographs. Inada san took me back to the hotel. Higa san drove back to the hotel as well where we had some more photos and then said good-bye. Then celebration in American Village next to hotel. 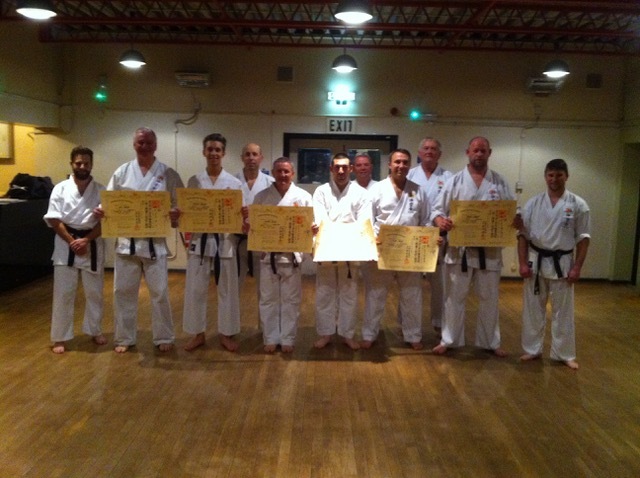 Paul proudly displaying his certificate with the grading panel, officials and students. 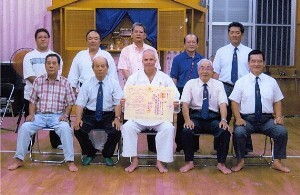 Front row left to right, Hiroshi Inada, Hanshi 10th Dan, President Tsutomu Nakahodo, Hanshi 10th Dan, Paul Natzyl, Kyoshi 7th Dan, Toshio Higa, Hanshi 9th Dan and Hirokuni Yamashiro, Kyoshi 8th Dan. 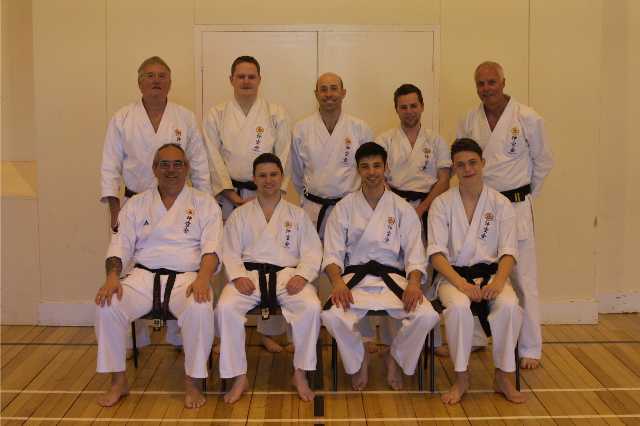 Back row form right to left, Takashi Arakaki, Kyoshi 8th Dan, Keicho Tobaru, Kyoshi 8th Dan, officials and students. Checked out of hotel and was collected by Yamashiro san at 11.30 a.m. Taken to a fantastic Okinawan restuarant for lunch on the way to the airport. Then said good-bye. View from hotel room across bay towards headquarters - where it all happened! In my role as the President of the Okinawa Karate Association U.K., and as an instructor It's my resposibility to make sure that techniques are kept up to date and that standards are kept high. The tuition I have now received can be passed on to all of the instructors and students within our U.K. Association. Everyone will benefit from my visit to Japan, the memories of which I will keep for the rest of my life. Passing my exam and my experience in Okinawa has given me a great boost and I am delighted. I would like to thank all those I met during my visit to Okinawa for their hospitality, generosity and kindness. I would like to thank in particular Ryuko Tomoyose, Hanshi 10th Dan, Hiroshi Inada, Hanshi 10th Dan, Shigeru Takmiyagi, Hanshi 10th Dan, Toshio Higa, Hanshi 9th Dan, President Tsutomu Nakahodo, Hanshi 10th Dan, Hirokuni Yamashiro, Kyoshi 8th Dan, Takashi Arakaki, Kyoshi 8th Dan, Soukei Machida, Kyoshi 7th Dan, Hatsuko Machida, Shihan 5th Dan, Yutaka Higa, Kay from Yamashiro san's dojo and Humiko Tsuchida.